Steve’s breakdown: The Wyoming Office of Tourism is looking for PR support for its advertising campaign. CHEYENNE, WY: The contract is for one year with two option years available and an annual budget of $250,000. Fahlgren Mortine is the incumbent on the account. The agency was named the first PR AOR for Wyoming Tourism in 2014. The selected agency will develop a year-long media, PR, and influencer program with the goal of reaching regional, national, and international consumer and industry outlets. The firm will also be asked to do regular outreach to travel writers, mainstream journalists, and influencers, as well as planning media and other events to support the advertising campaign. The contract is set to get underway next February. Proposal are due by December 5. 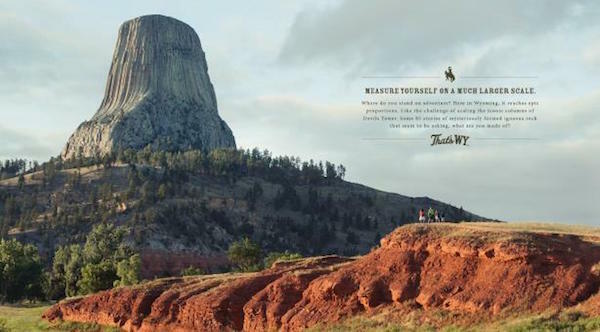 Wyoming Tourism’s latest campaign, That’s WY, launched in summer 2016 with out-of-home, TV, and print ads, as well as social media. The initial campaign, created by Milwaukee-based BVK, resulted in a 9.5% increase in trips and 3.4% boost in spending in 2016 by visitors, compared with 2015, according to the organization. Tourism is the state’s second-largest industry.